We are pleased to say that we have achieved excellence in our services, that has helped us to create a niche for ourselves in Domestic as well as International Market. We have our presence almost across all parts of the world and have a strong foothold in the Indian market..
We have strengthened our services and expanded our overseas presence by establishing a global network strategically located to provide the fastest possible response times and to serve our customers as efficiently as possible. Our presence spreads across all the metropolitan cities in India. FARMKING Shri Kanhaiyalal Ramratan Krishi Yantra Laghu Udyog is a key player in the Indian Agro market, with a wide range of products in various segments. We have a huge clientele spread across nations from Asia, Africa, Mid East and North America. Our commitment to excellence in all the spheres of business has led us to find a position of respect in the global arena of agricultural implements and farm equipment. We have always been appreciated by our clients for our efforts to achieve complete customer satisfaction. Our vast network of sales and after sales services have enabled us to successfully cater to the needs of the clients in a prompt and efficient manner. 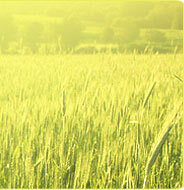 This is supplemented with sophisticated tools of communication and networking technology. We have a team of professionals, who regularly conduct market surveys and get the feedback to improve our products and services, which help us in successfully catering the ever-changing requirements of our clients. We have a proven track record of going that extra-mile to fulfill the demands of our clients and building an ever-lasting business relationship. 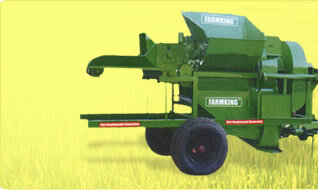 Our clientele include almost all the leading tractor manufacturing companies of India.